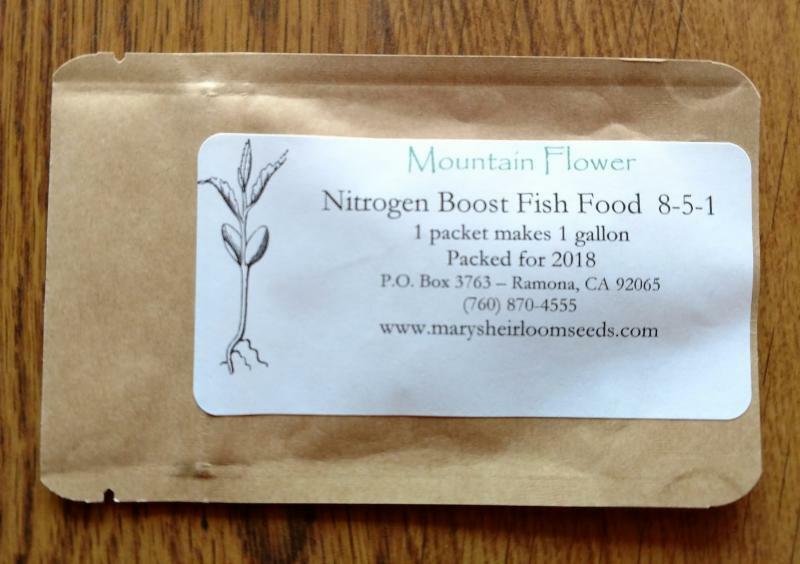 non-gmo & non-hybrid, garden seeds. 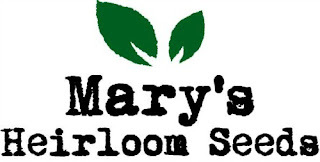 If you've been a customer of Mary's Heirloom Seeds for any length of time, you probably know that we are always ready and willing to answer questions. 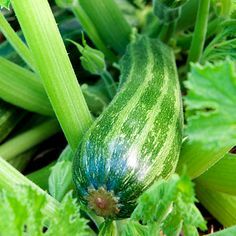 A common concern is feeding your garden. Specifically, the functions of each one. I realize that this is a lot of info to put in one single email. If you have additional questions I am happy to help! 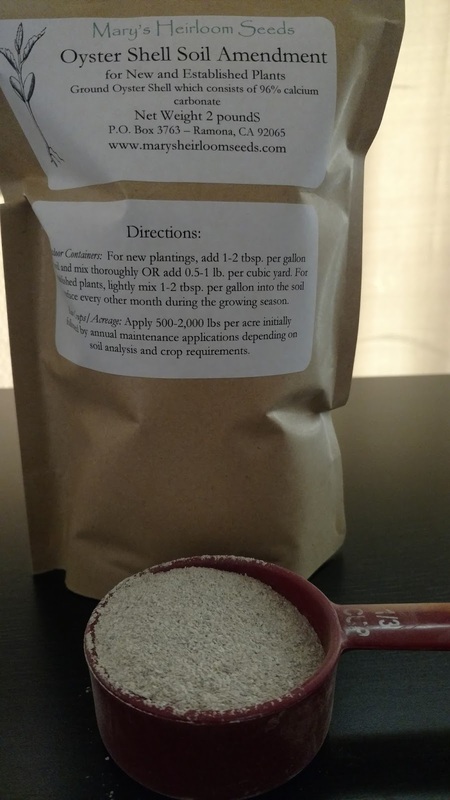 This is perfect timing since we're working on a few new instructional videos to help you make your own liquid fertilizer. Most effective when applied at pre-bloom, again at early leaf development, again at fruit set, and during periods of expected plant stress. If you're growing a veggie garden or you've ever grown a garden then you probably know that nutrients are very important. 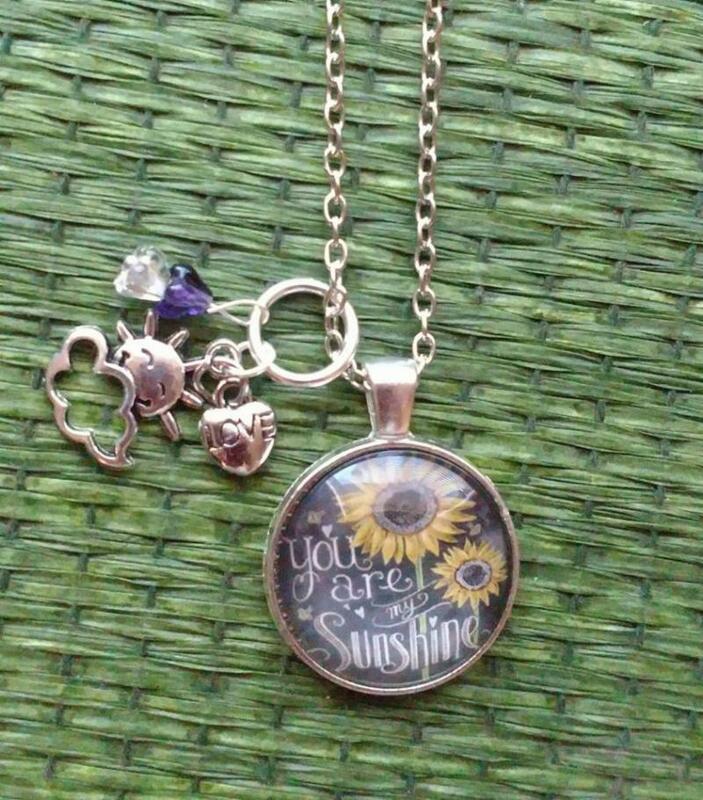 Sun and soil (and SEEDS) are also important. Nutrients play an integral role in plant health. Most "all-in-one" type of fertilizers have an "NPK" rating. NPK stands for Nitrogen-Phosphorus-Potassium(potash). 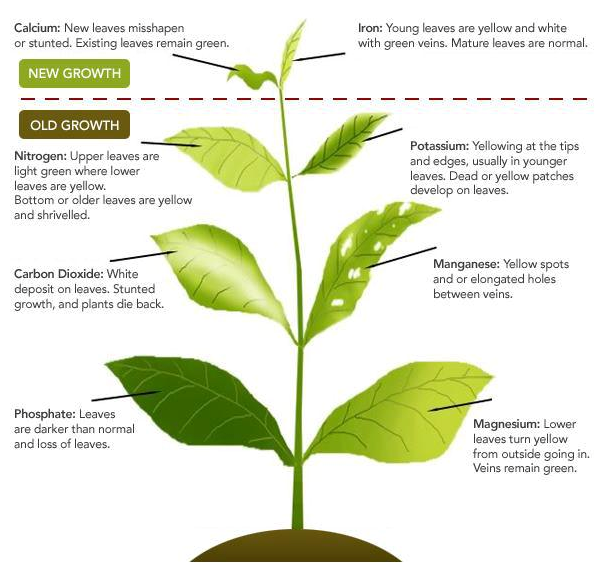 In addition to other properties, Nitrogen helps plant foliage to grow strong. 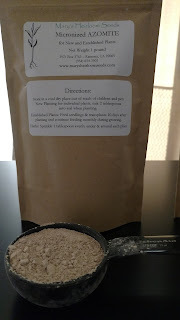 Phosphorous helps roots and flowers grow and develop. Potassium (Potash) is important for overall plant health. Minerals are VERY important to healthy plant growth. 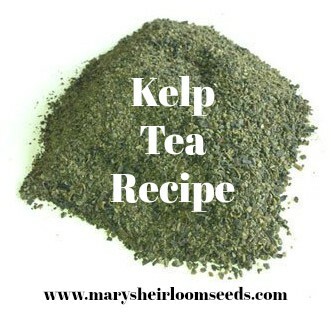 What is Alfalfa Meal and How does it Work? 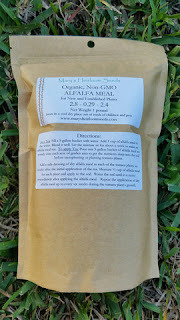 **It is important to mention that our Alfalfa Meal is Organic and Non-GMO** If you are looking to avoid synthetic pesticides and gmo derivatives, Organic and Non-GMO is the way to go. When added to your compost pile, alfalfa acts as a stimulant. 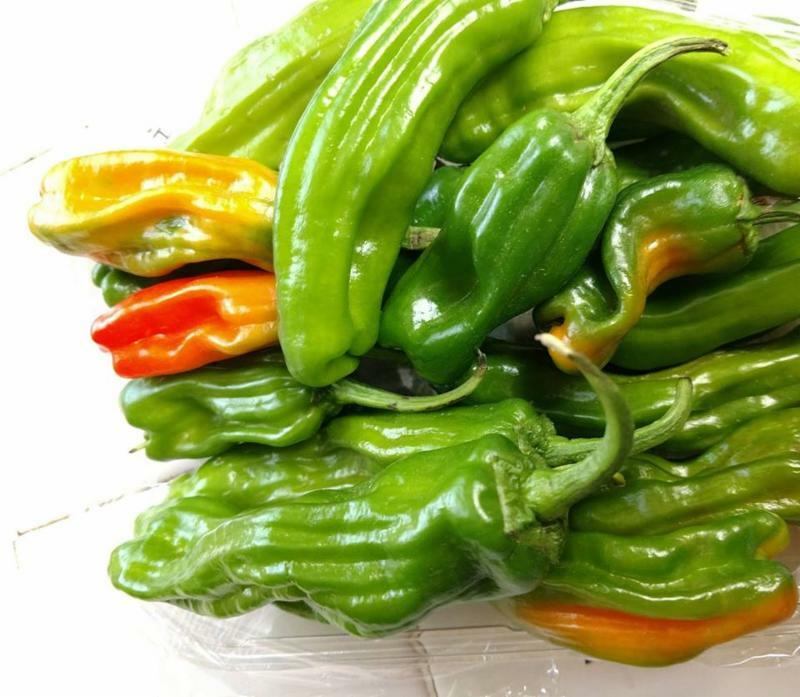 It decomposes rapidly, creating heat which helps the rest of your compost to decompose. And your finished compost will have higher nutrient levels when alfalfa is used. Higher nutrient levels in your compost and soil means more nutrient-dense produce in your garden. 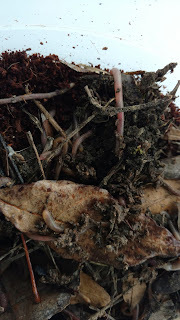 Bonus, Worms LOVE Alfalfa Meal! Azomite rock dust is a naturally mined volcanic rock composed of over 70 minerals and trace elements that are essential for optimal plant health. The rock formation in Utah from which Azomite is mined was formed when volcanic ash merged with sea water an estimated 30 million years ago. This mixture of volcanic ash and sea water created a unique source of trace minerals and elements that moist soils are void of. Just like humans, plants require many minerals to reach peak health and vigor. 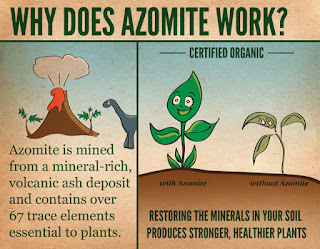 Re-mineralize your soil with Azomite and your plants will thank you and reward you! Contains potash and other minerals from natural marine deposits. Excellent soil conditioner. 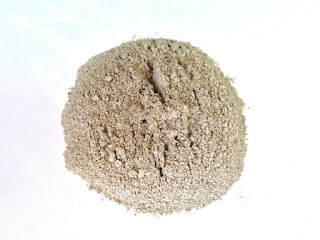 Greensand is a mined mineral rich in soil conditioning glauconite. 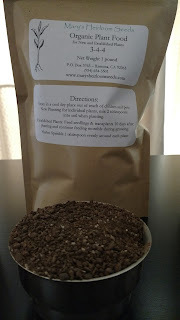 Greensand turns dense, heavy clay into manageable soil. 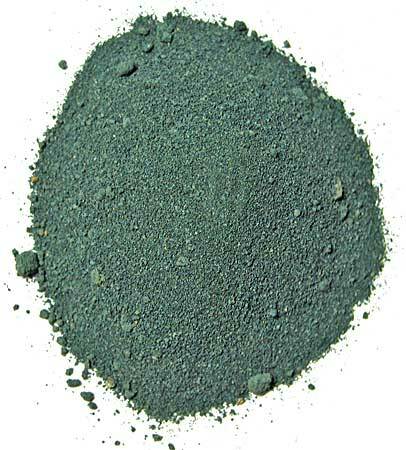 Greensand is a naturally-occurring iron-potassium silicate that can increase soil's moisture absorption by up to ten times. There are more than 30 trace minerals and nutrients in greensand, with high concentrations of Iron (Fe), Potassium (K), Silicon (Si), Oxygen (O), Magnesium (Mg), Aluminum (Al), Sodium (Na), and Hydrogen (H). These minerals release slowly into the soil in just the proportions that plants need. Calcium is a component of plant cell walls, and it's needed for enzyme formation and nitrate uptake. Organic calcium can also be used to help neutralize excessively acidic soils, which is especially important when you're growing green, leafy vegetables like lettuce and spinach, or cruciferous vegetables like cabbage, broccoli, cauliflower, and kale. Very important to mention, ingredients are derived from organic, non-gmo sources. All-Purpose VEGAN plant nutrients. Humate is a generic name for humic materials -- salt forms of humic acid. They are most commonly low grade lignite coal. 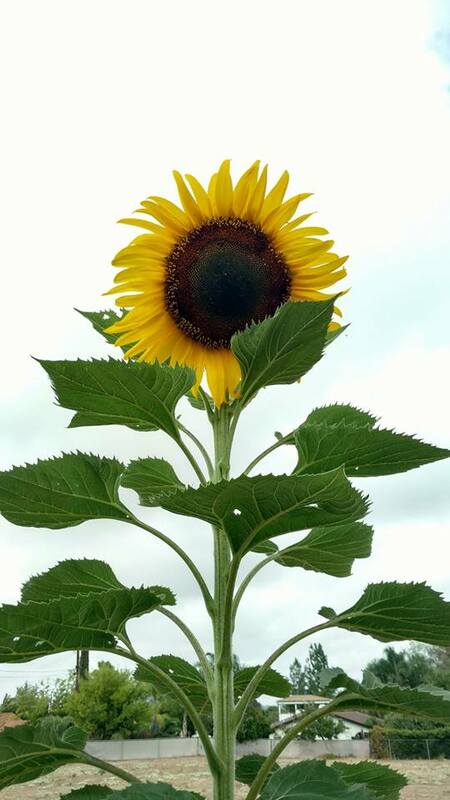 Humates regulate water-holding capacity, have extremely high ion exchange capacities, and reduce soil erosion by increasing the cohesive forces of the very fine soil particles. Very low concentrations of humates have been shown to stimulate seed germination and root growth. 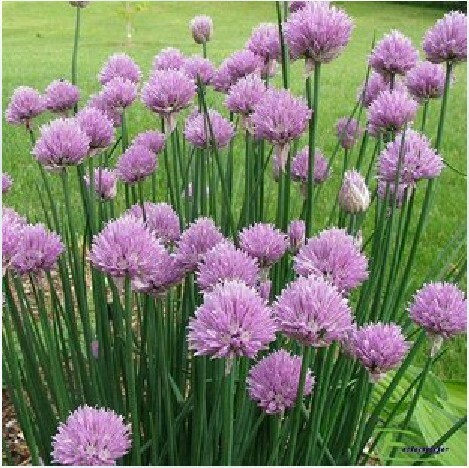 They have also been shown to stimulate desirable soil microorganisms. 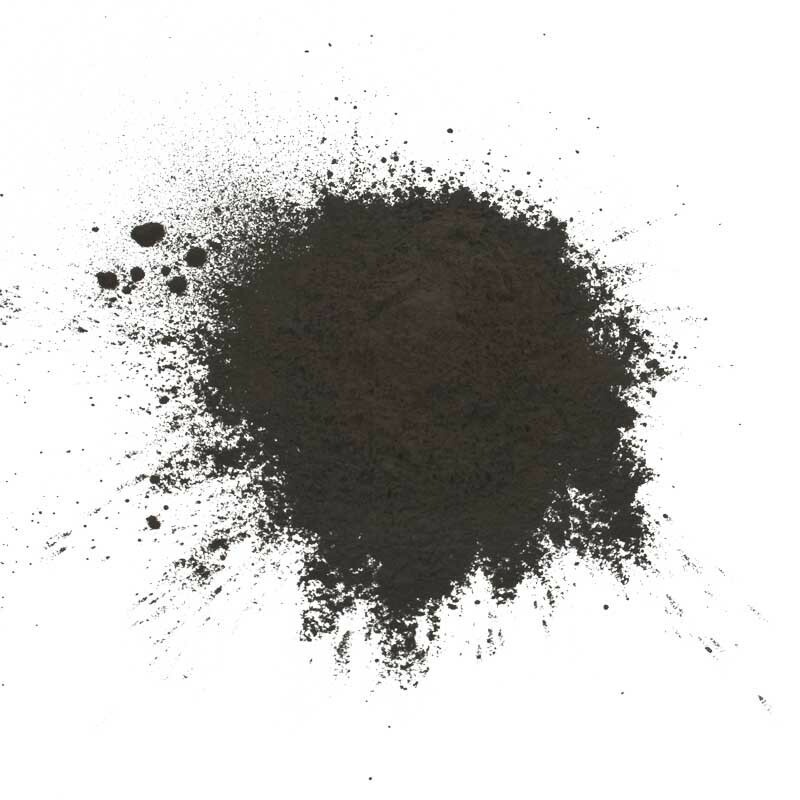 What is Humic Acid & How Does it Work? 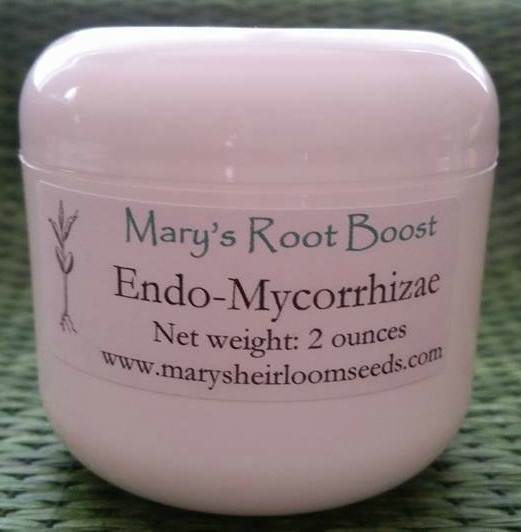 Mycorrhizae is a fungi that has a beneficial relationship with a plants roots. 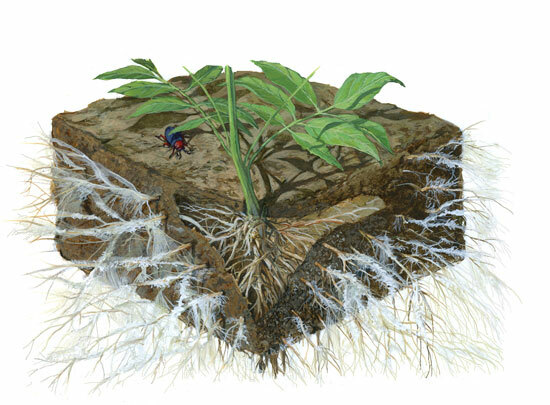 When Mycorrhizal fungi comes into contact with a plants roots it begins to colonize, or multiply, on the roots and begins to spread out into the surrounding soil. 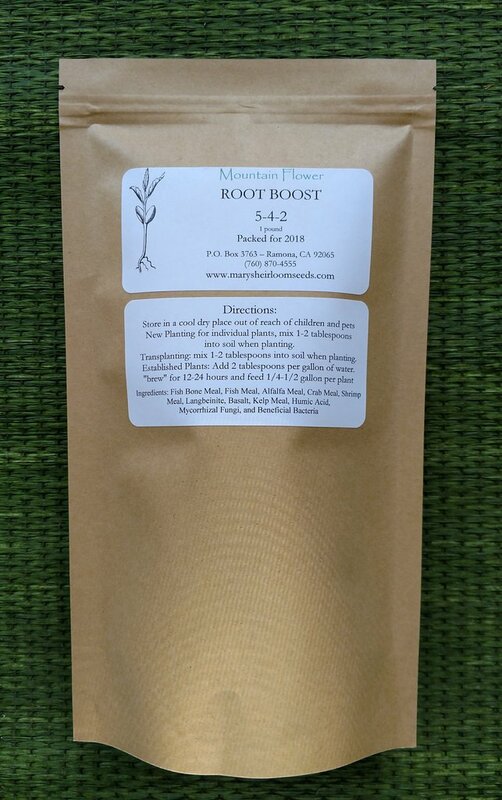 These strands of mycorrhizal fungi effectively become an extension of the roots and can increase the absorption area of a plants root system by 10 to 1,000 times. 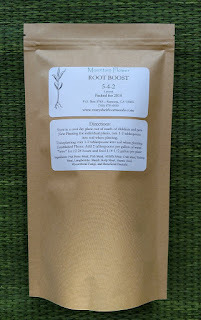 This allows the root system a more efficient intake of nutrients and water. 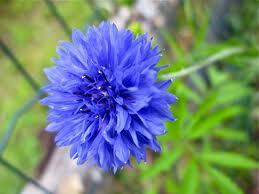 They are particularly effective for agricultural plants that have high water and nutritional needs. Over 50,000 University studies have highlighted the benefits of mycorrhizal colonization on the health and yield of plants. We've discussed recycling and composting in the garden a few times. There are many benefits of composting not just for the garden but also for our planet! 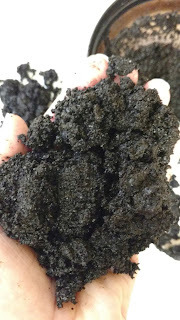 Composting coffee grounds is easy! 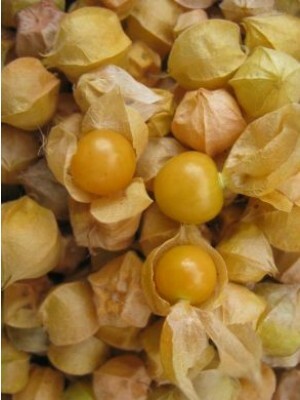 Just throw them into your compost pile or bin. Used coffee filters can be composted as well, preferably unbleached. If you add coffee grounds, this is considered "green material" so you'll need to balance with "brown material." Coffee Grounds can be used as a fertilizer as it adds organic material to the soil. This can improve drainage and water retention. Bonus, spent coffee grounds attract earthworms! 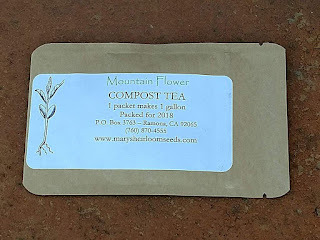 There are many uses for Coffee Grounds in the garden. 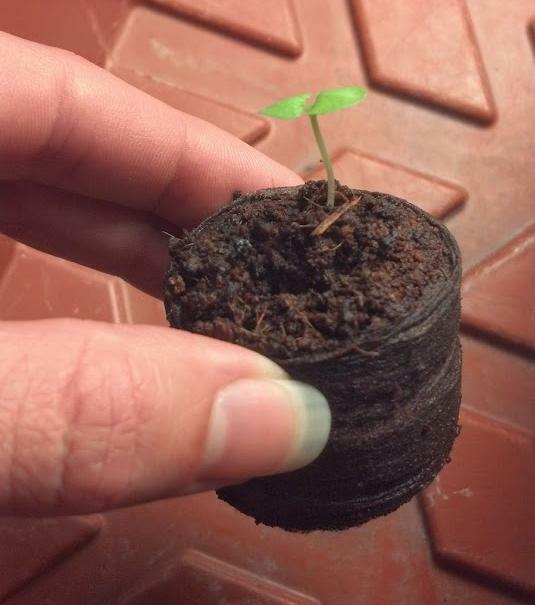 Many gardeners like to use used coffee grounds as a mulch for their plants. Other used for coffee grounds include using it to keep slugs and snails away from plants. The theory is that the caffeine in the coffee grounds negatively affects these pests and so they avoid soil where the coffee grounds are found. Some people also claim that coffee grounds on the soil is a cat repellent and will keep cats from using your flower and veggie beds as a litter box. 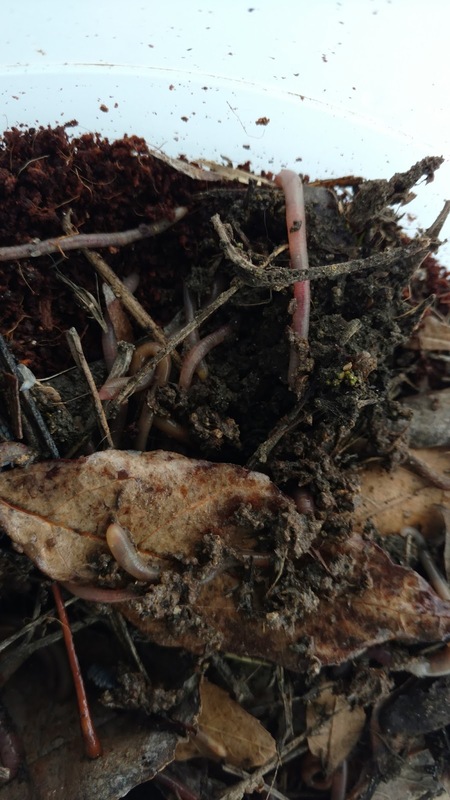 You can also use coffee grounds as worm food if you do vermicomposting with a worm bin. 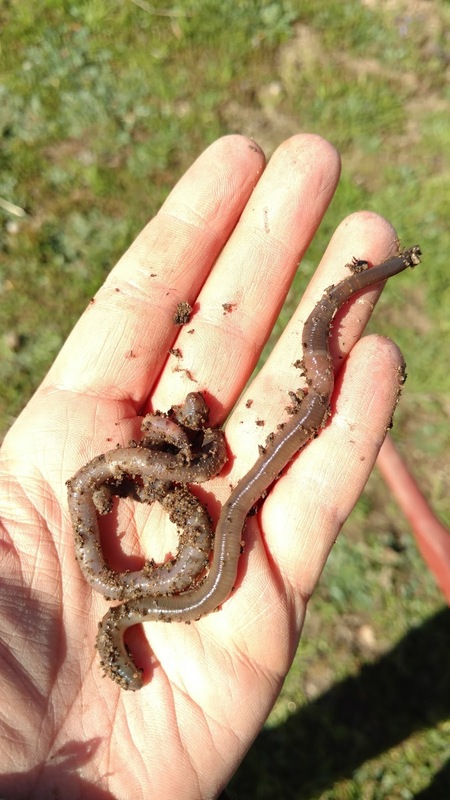 Worms are very fond of coffee grounds. Decomposing coffee grounds have their own fungal and mold colonies and those fungal colonies tend to fight off other fungal colonies. If this seems weird, just remember that the antibiotic penicillin was developed from a mold. The world of teeny, tiny things is fighting for space and resources just as fiercely as the world of big, visible things, and you can use that to your advantage. As they decompose, coffee grounds appear to suppress some common fungal rots and wilts, including Fusarium, Pythium, and Sclerotinia species. In these studies, coffee grounds were part of a compost mix, in one case comprising as little as 0.5 percent of the material. Researchers suggest that the bacterial and fungal species normally found on decomposing coffee grounds, such as non-pathogenic Pseudomonas,Fusarium, andTrichodermaspp. and pin molds (Mucorales), prevent pathogenic fungi from establishing. A similar biocontrol effect was noted on bacterial pathogens including E. coliand Staphylococcusspp., which were reduced on ripening cheeses covered with coffee grounds. Given their antimicrobial activity, it’s not surprising that attempts to cultivate mushrooms in coffee grounds have been variable and species-specific. Likewise, their effects on plant growth are unpredictable. Coffee ground composts and mulches have enhanced sugar beet seed germination and improved growth and yield of cabbage and soybeans. It’s been an effective replacement for peat moss in producing anthuriums. Increases in soil nitrogen as well as general mulching benefits, such as moderating soil temperature and increasing soil water, are proposed mechanisms for these increases. There you have it! 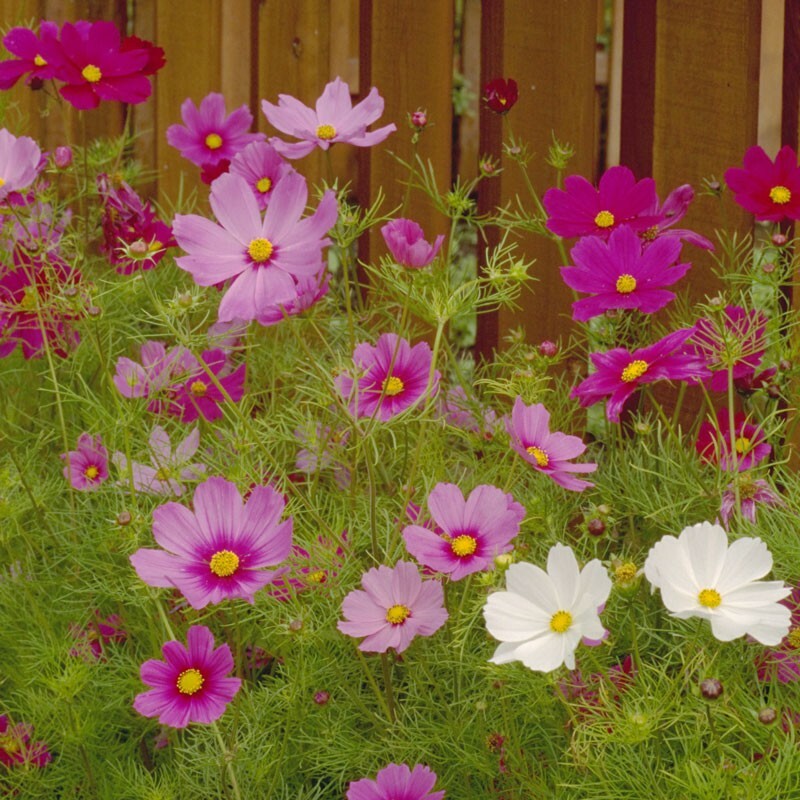 Do you use Coffee Grounds in the garden? 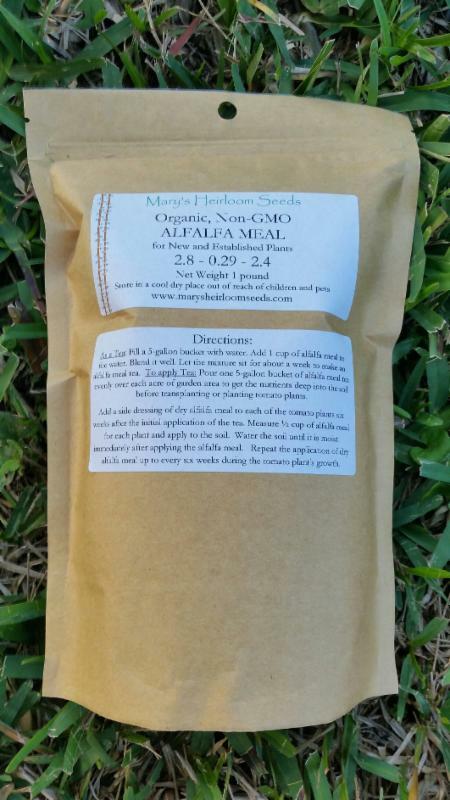 A customer recently asked about using our Mary's Organic Plant Food in the garden on growing plants. Granular and powdered plant food is usually easier to apply MIXED into soil. However, making your own liquid, organic plant food is easy! 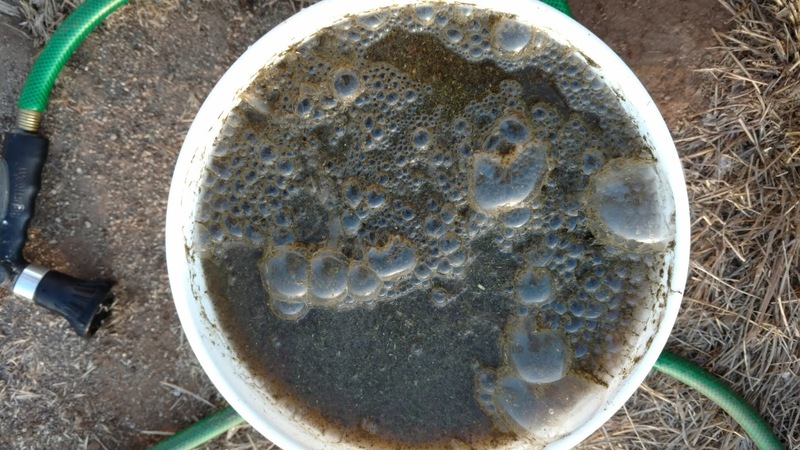 First, liquid feeding is usually easier with established plants. Second, liquid feed can give your plants a quicker "boost" if they need fast relief. At Mary's Heirloom Seeds we offer a unique selection of Organic Soil Amendments. 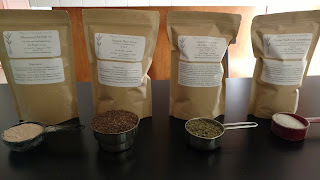 These can be combined to best suit your plant nutrient needs. 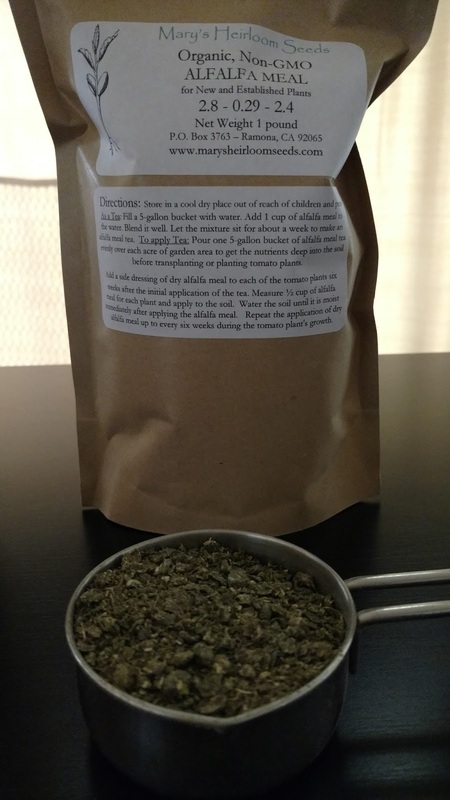 For this recipe, I'm using 4 different organic soil Amendments. Calcium is a component of plant cell walls, and it’s needed for enzyme formation and nitrate uptake. Organic calcium can also be used to help neutralize excessively acidic soils, which is especially important when you’re growing green, leafy vegetables like lettuce and spinach, or cruciferous vegetables like cabbage, broccoli, cauliflower, and kale. Highest quality ingredients help provide an effective and environmentally friendly approach to plant care, crop fertilization and soil management. 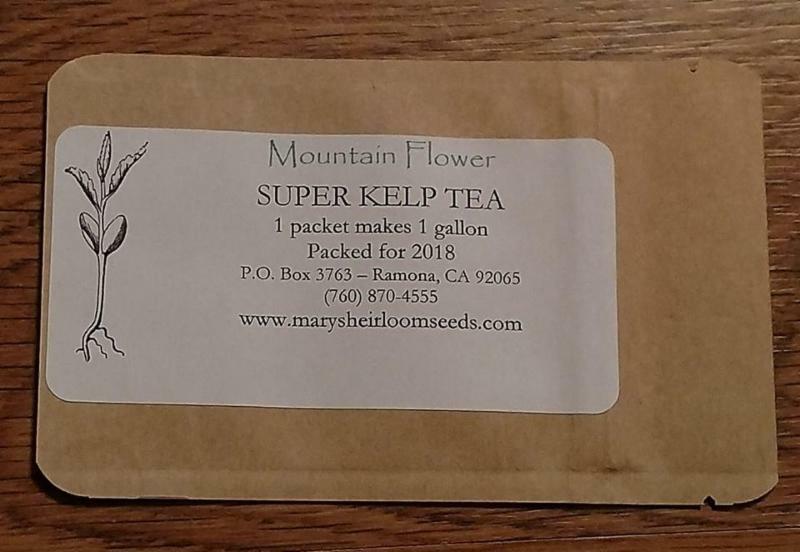 BONUS: $.99 seed pack sale thru Friday as well!!! We also put a few Organic Soil Amendments on sale!!! 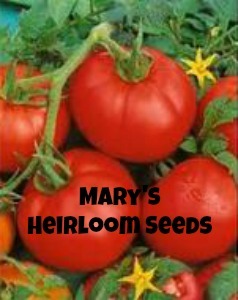 Each of the seed varieties listed below are only $.99 each! Minerals are also VERY important to healthy plant growth. Greensand provides a slow and gentle release of minerals, which protects plants from the classic root burn that many stronger fertilizers can cause. Using glauconite greensand as a soil conditioner provides a gentle source of potassium in a 0-0-3 ratio. 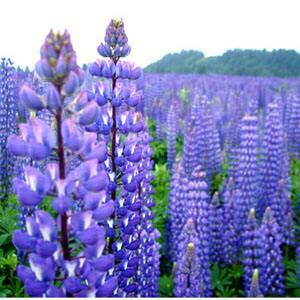 It can contain up to thirty different trace minerals, all of which enrich the soil and are easy for plants to uptake. One of the biggest benefits of greensand is its ability to break up clay soils, which increases drainage and allows oxygen into the soil. 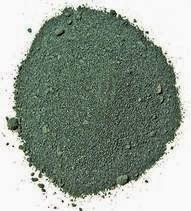 The exact amounts of greensand garden application will vary depending upon what manufacturer produces the compound. Some manufacturers will add sand to the mixture, which may impact the strength of the product. The condition of your soil will also dictate how much greensand fertilizer is necessary for maximum effectiveness. 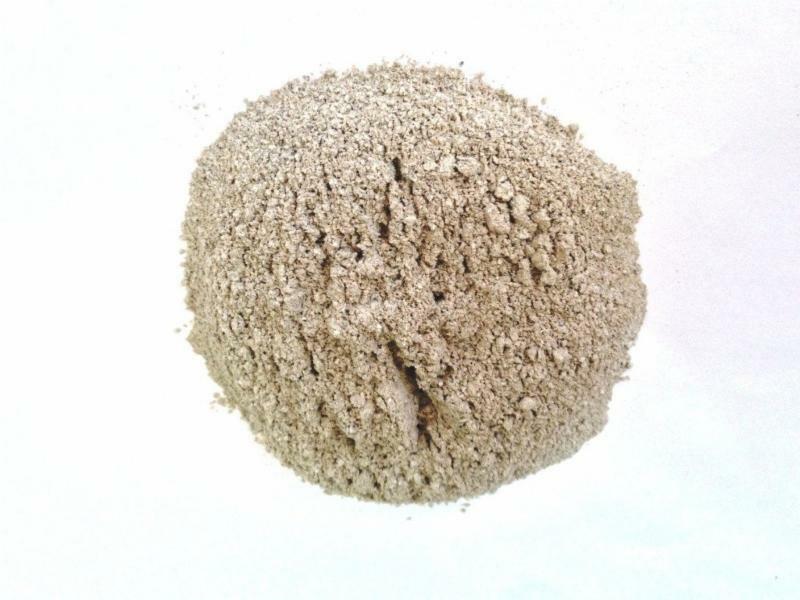 Greensand fertilizer is a rish source of glauconite, which is high in iron, potassium and magnesium. These components are all important to good plant health. Greensand also loosens soil, improves moisture retention, softens hard water and increases root growth. Greensand soil ammendment use has been documented for over 100 years. Greensand must be broken down in soil and is not water soluble. 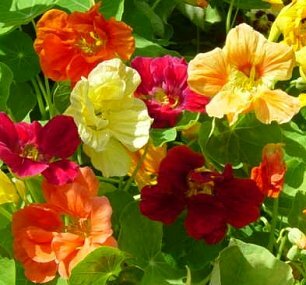 As a general rule, mix 2 cups into the soil around each plant or tree. For broadcast application, the average rate is 50 to 100 pounds per 1,000 feet of soil. The product is organically certified and the green color from the glauconite helps absorb sun and warm soils earlier in spring. The gritty texture is able to soak up more moisture than garden sand and conserve it for plant roots. Greensand soil supplement is easy to use and gentle for even the most sensitive plants. Apply in early spring as either a soil amendment or simply a good all purpose fertilizer. 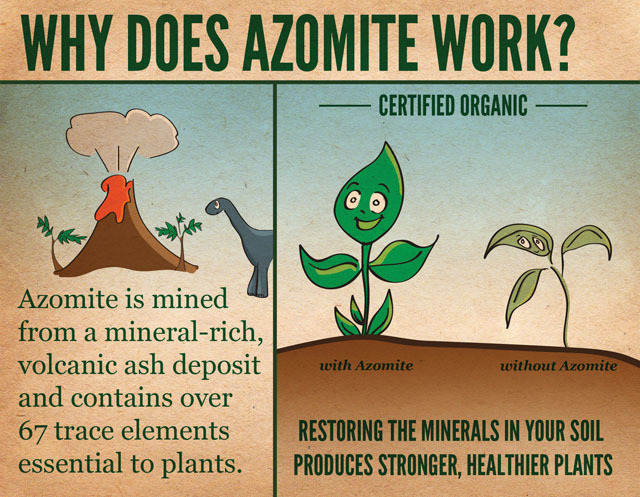 Remineralize your soil with Azomite and your plants will thank you and reward you! Azomite is a simple to use, naturally mined mineral product. It requires no mixing or special equipment. It is odorless and won't restrict aeration or water penetration. Azomite trace mineral soil amendment is a complex of naturally occurring minerals which contains essential elements (micro-nutrients) for plant growth. Fertilization with Azomite adds some of the required mineral balance for the growth of common soil flora and fauna vital to overall productivity. Continuous plant propagation and the leaching effects of water may deplete essential minerals and micro-nutrients from soils. Azomite can improve soils that have been depleted of these important minerals and micro nutrients. 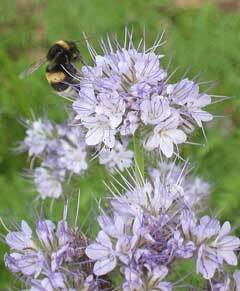 It can also supplement soil that are inherently deficient of these vital mineral concentrations. Micronized AZOMITE Trace Minerals are listed by the Organic Materials Review Institute (OMRI) for use in organic production. Many fertilizers receive chemical alterations or go through an intensive manufacturing process. 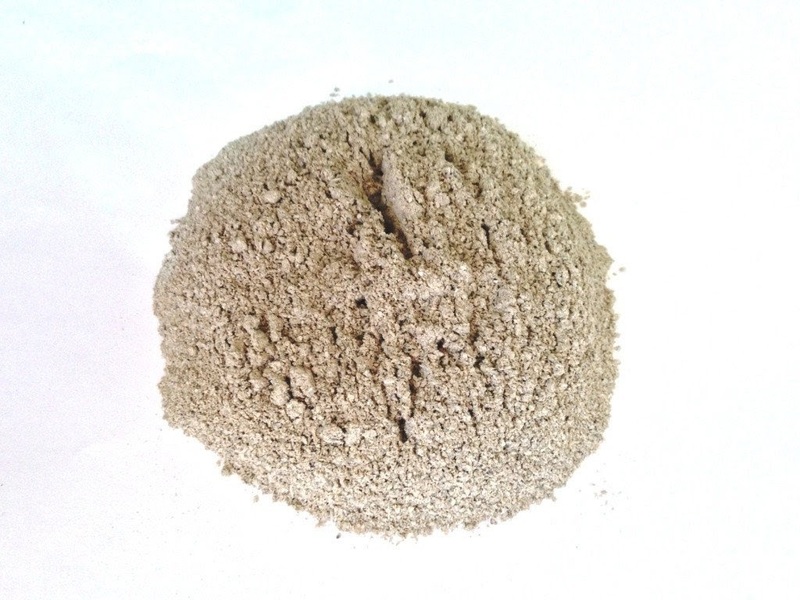 AZOMITE is simply mined, crushed and sold and is 100% natural and organic. 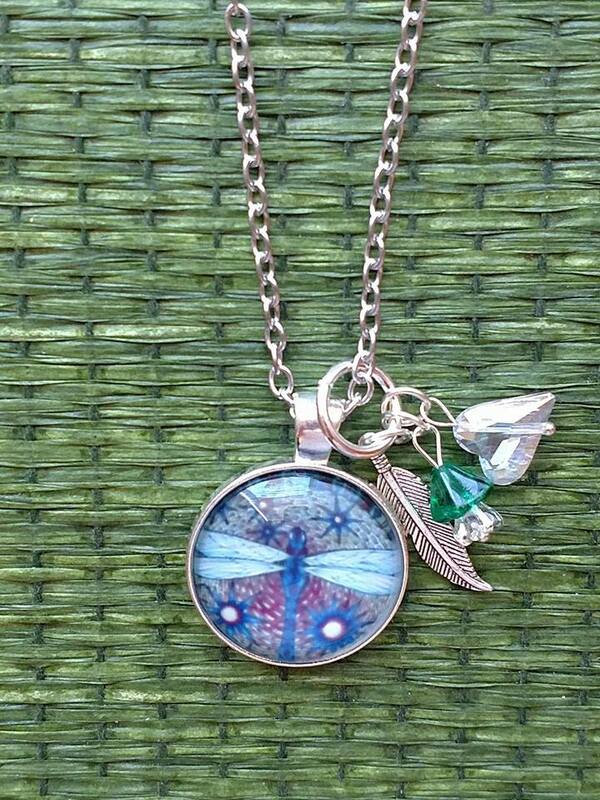 Chemically, the term "organic" means that the minerals are bound to a carbon atom. As the minerals in AZOMITE are oxides, not bound to carbon, they are technically considered "inorganic". What effect does Azomite have on plants?? According to research and customer reports, plants grown with AZOMITE produce more and larger fruits and vegetables per plant resulting in a better tasting food with improved resistance to disease. 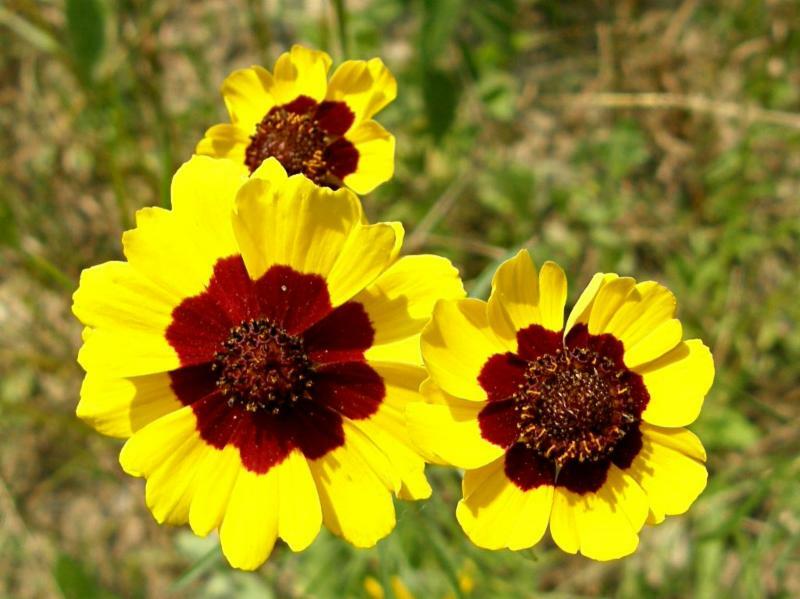 AZOMITE has shown positive results in a wide variety of plants in the field and in the laboratory. There is evidence that AZOMITE can improves nutritional benefits. Micronization is the process of reducing the average diameter of a solid material's particles. 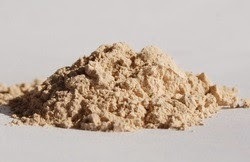 In simple terms, MICRONIZED AZOMITE is crushed into a finer powder than regular azomite. That means that MICRONIZED AZOMITE is easier for plant nutrient uptake and is more water soluable. 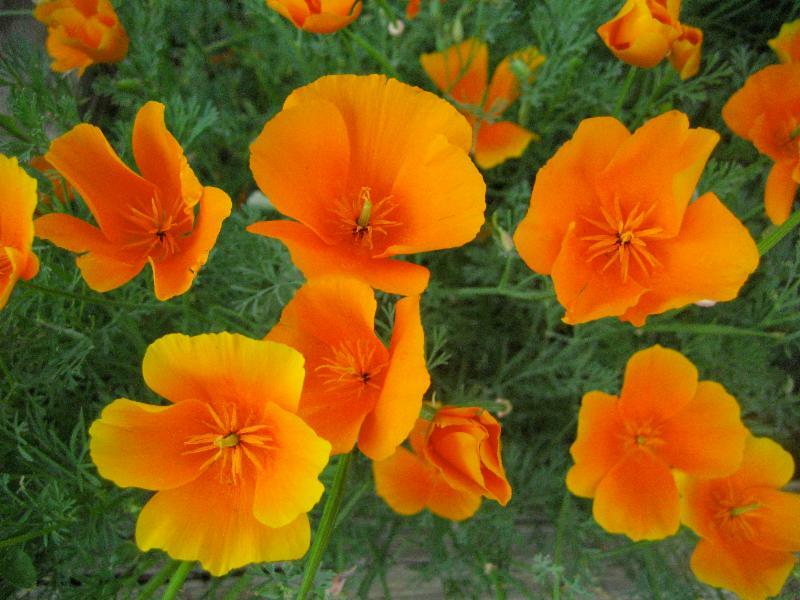 For gardens, spread ¼ to 2 pounds per 10 ft and spade or rake into the soil. Use 1 teaspoon - 1 cup in watering can quarterly for house plants. If planting in rows: mix into the soil along the rows at rate of 1 lb. per 25 ft. of row. If bed is established, sprinkle around each plant. Application instructions & requirements very based on your current soil conditions. A natural source of minerals and trace elements! 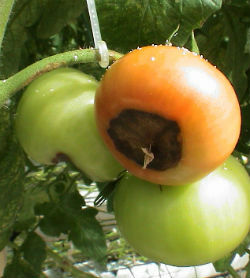 Azomite is used in gardens as a re-mineralizer for soils and an anti-caking agent in animal feeds.